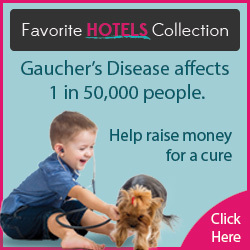 Many don't know that this is the 3rd time we've built Gaucher's Chat. The first two times, the site became infested with spammers, and the domain was restricted and banned from our hosting provider. You don't have to worry about that anymore! Each person who signs up has to be manually approved before they can start posting or access the community. In addition, we have a brute force security service activated to prevent hackers from forcing their way in, and we have CleanTalk activated; which prevents the spammers from signing up in the first place. CleanTalk is by far, the best addition to any web site. We've been using CleanTalk for a few years now, and are happy to say, we haven't had 1 spammer make it through the security. They also allow us to manually inspect anyone that has been blocked to verify no mistakes have been made. Let's be honest, even technology can make mistakes. Glad to report there have been none. If you own a website, we highly recommend CleanTalk. For more information, visit CleanTalk now.